I tried to nap – i promise… but I couldn’t stop thinking about how to rearrange the furniture in our home that still feels new even though its been almost 6 months. I wish I took more pictures. 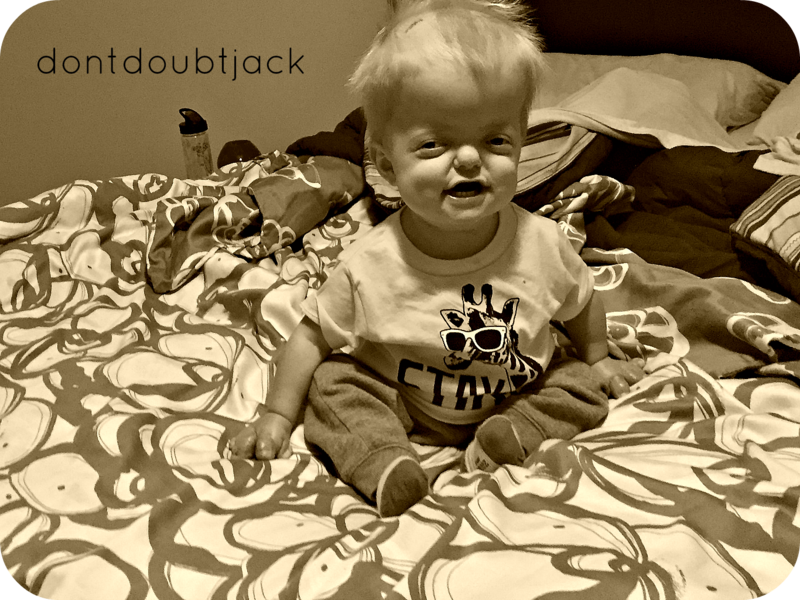 These past three months since Jack’s last surgery have been the happiest in our little home since his arrival. 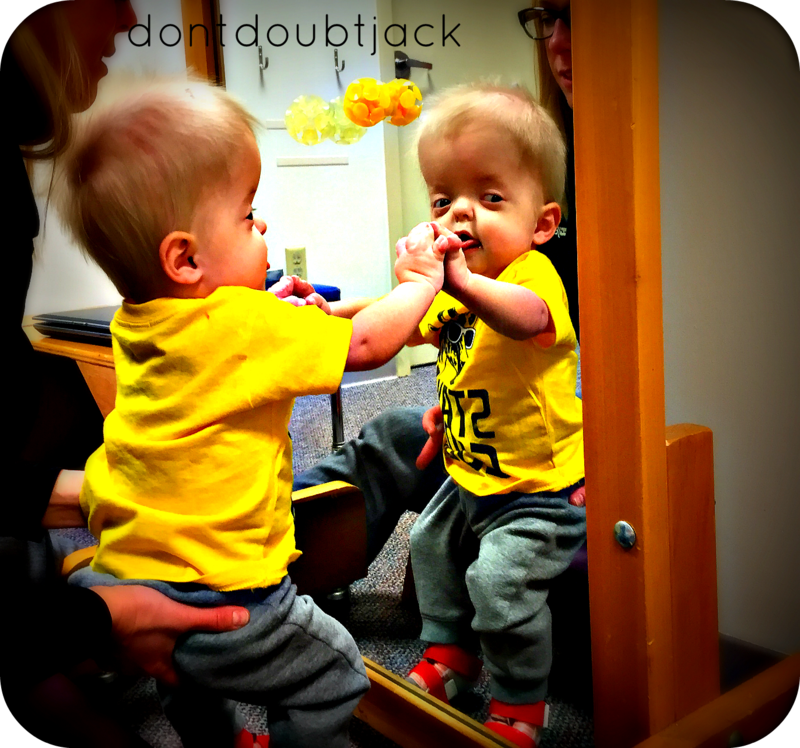 Each week we see more and more growth and development take place from our little man! Our prayers are being answered before our very eyes. I know that life is not always a series of sweetly answered prayers – so for this precious season I am trying to enjoy every ounce of it. 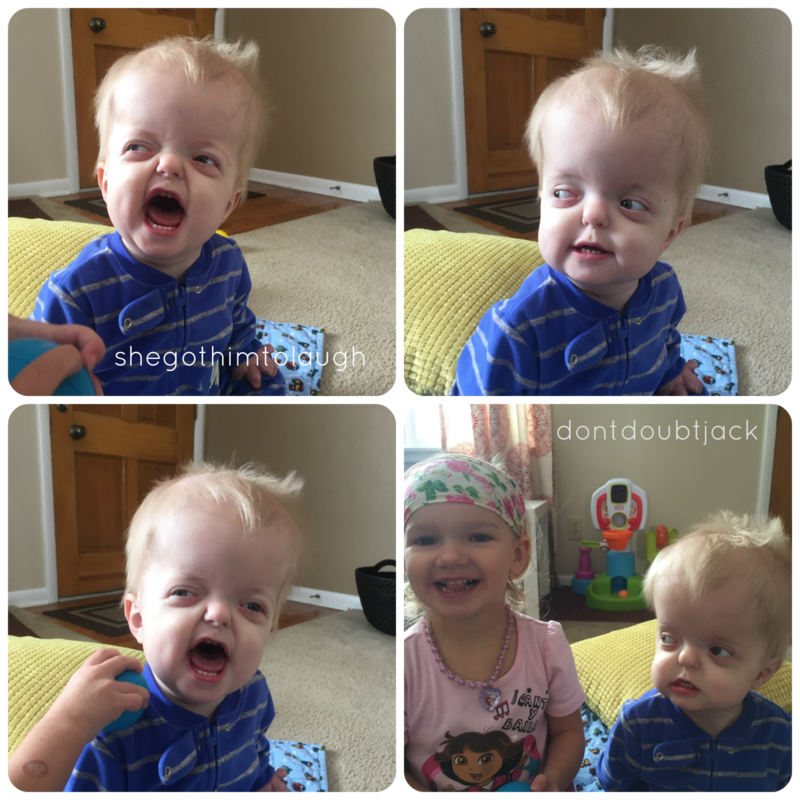 Here is the day Jack turned 18 months old. 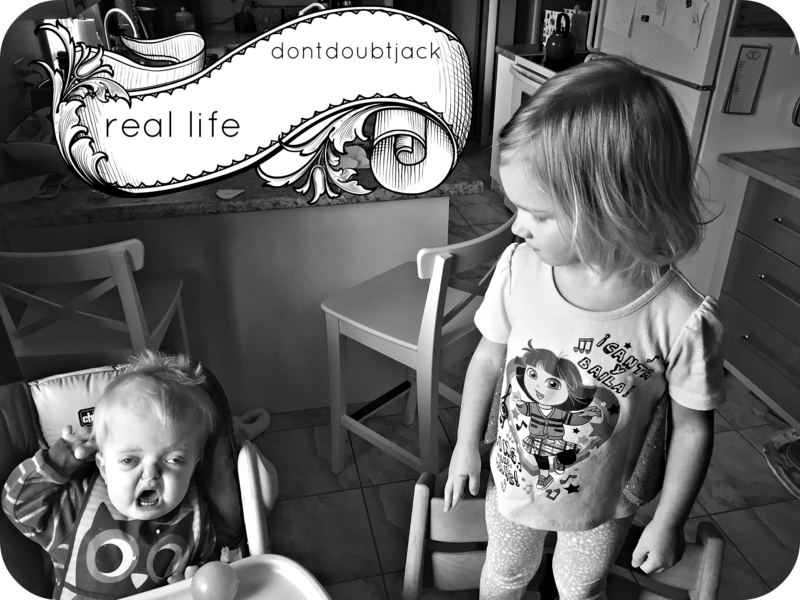 The one person that ALWAYS make Jack happy is his big sister. These two are developing a bond that just astounds me and makes me love them even more! 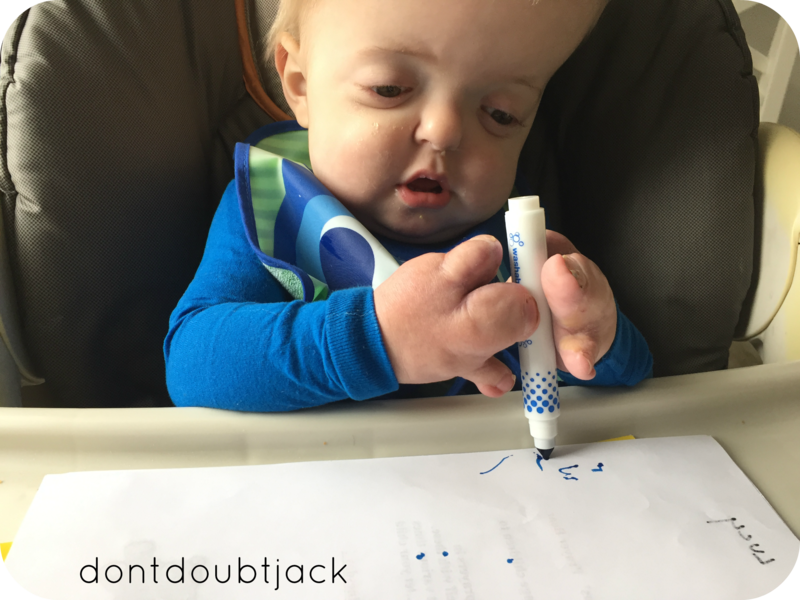 During OT we discovered that Jack isn’t just a big 6 month old! He is indeed a 1 year old who can think and interact with his world – albeit different than you and I but he is strong and able. This picture I shall save forever. As soon as Seth walks in from work I become irrelevant to Jack. He reaches for Seth and if he could run he would follow Seth everywhere. As it is, Seth has to carry him everywhere – haha… These two boys have the same loves: cars, music, action movies, and reading. I love them. 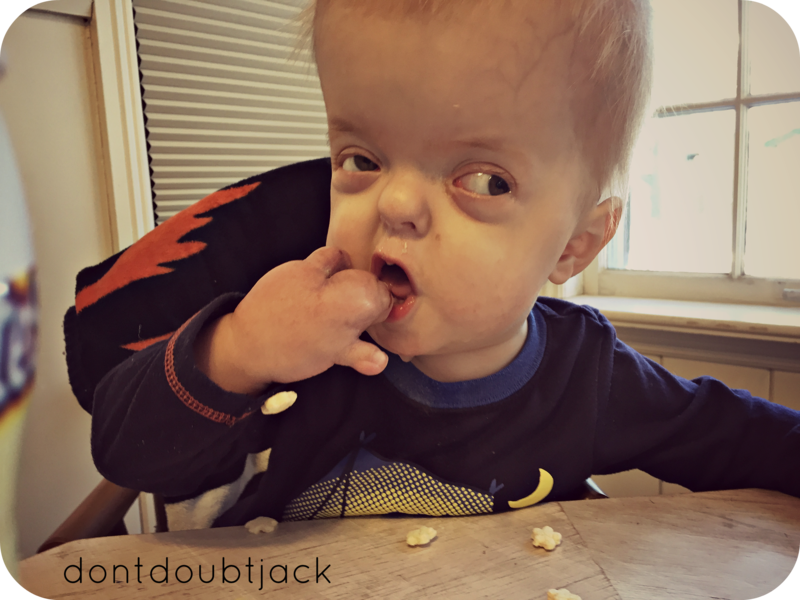 With his hands, Jack can do a lot! Even though none of the fingers are truly “functional” yet. He loves toys with buttons, balls, or wheels. He turns pages, and now he picks up anything to eat it. This toy my mom bought me when I was a kid! One of the big things we are working on with Jack is rotating his trunk. Jack is extremely stiff and would prefer if everything could be easily placed into his lap for him to explore. 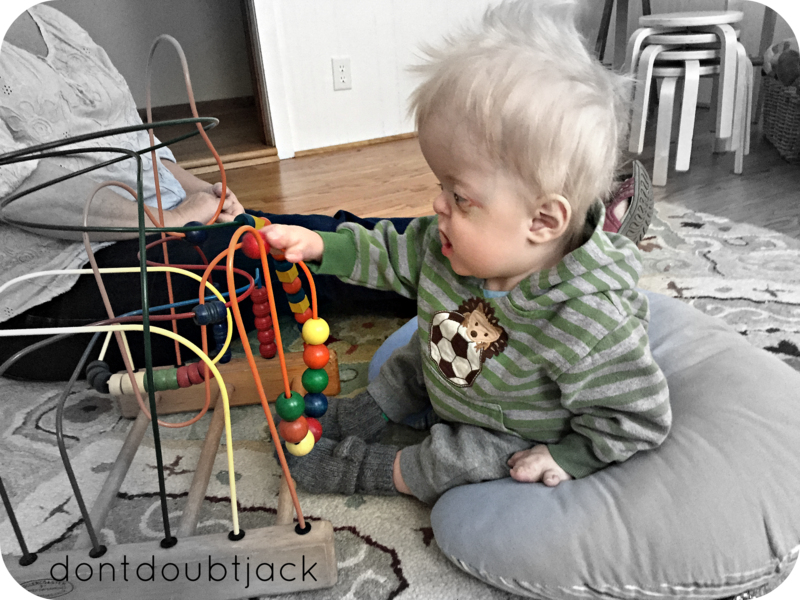 This past week he amazed us yet again by reaching, crossing his body and playing with the toy like an absolute pro. This is what happens when you have a big sister who loves accessories dress you up. Yes, Lucy even took the picture! These two are as thick as thieves. Until you try to read them a book together! Then they fight like crazy. lol. Standing is Jack’s least favorite activity. His muscles are tight and his hips are shallow and he is just so stiff. This is truly the hardest part: watching everything be a hardship for him. Yes, he is doing amazing… but it is not without a price. Every task he performs requires so much energy that you and I take for granted. It makes him a remarkable human being. It takes a toll on his momma though. I praise God for the amazing support I have from family and friends that remind me to keep my perspective long-term rather than focus on every hurdle. We’ve come so far in a short and long 18 months. Life with two toddlers is never dull 🙂 There is almost always a triumph or catastrophe. This day they both were terribly needy from the start… breakfast ended with some amazing photos though. (too many to sort through and post here unfortunately). There is so much beauty in the every day. I think I needed to blog today. As a reminder of that truth. When life is hard, it seems like God is in my very breath… everywhere I turn. These past three months of waiting to see if Jack’s surgery worked… of going to therapy three times a week where he cries for most of it but amazes us too… of learning that Jack is blind in his right eye, will need surgery on his left eye… of dealing with strange stomach issues and diet changes… with poor oral motor control and what I can and cannot feed him… I can lose sense of the fact that God is still in control as I seek to make sense of it all. These things too are supposed to lead me to my knees daily asking for God’s strength and direction. So please keep praying with me. That we will live each day with the peace and joy and love that God allows. That we forgive quickly, extend love freely, and pray without ceasing. That Jack will be exactly who God wants him to be and not what I want him to be. 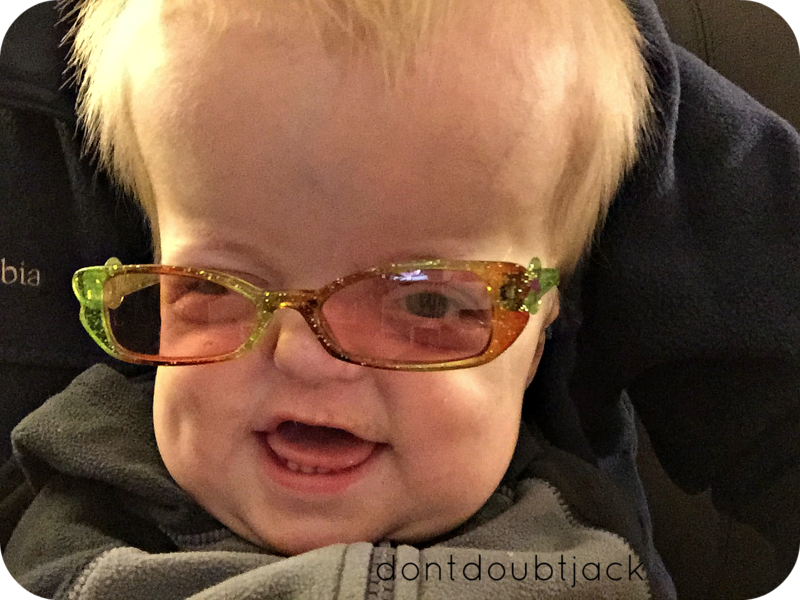 Help me know when to push Jack and when to hold him close. That he will learn how to chew well so he can eat whatever we are eating. That he will get stronger and learn that he is able to control his own body. Lastly, for his MRI on March 21st. And for our meetings with the 2 neurosurgeons and craniofacial surgeon that will be meeting with us and making a plan for this next year. Ahh love you dear friend- you always help me regain a better focus on God and life! My favorite line was about forgiving, loving, and praying … And I’m sorry to hear about his eyes. That must have been sad news. Hey Shannon just got finished reading your blog posts. Can’t tell you how many times my heart was warmed, challenged, and giving thanks! 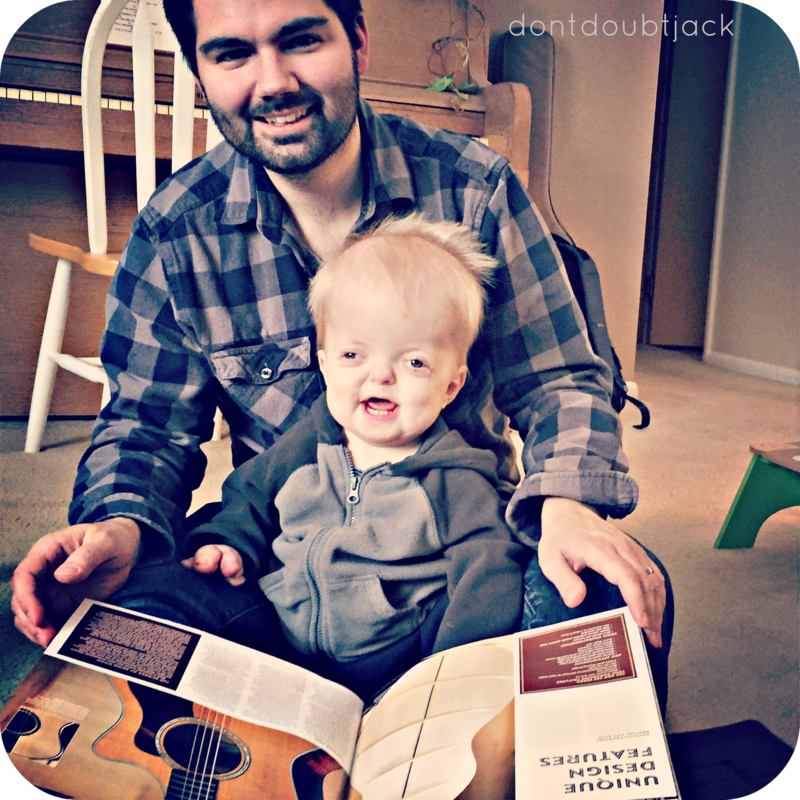 Jack is quite an amazing kid and God is using him in distinct ways. I know you know that but I wanted to share how it’s impacted me. Thank you for your open heart and willingness to spill your life on to pages…well a webpage:) we will continue to pray for Jack and the rest of the fam. Love you guys! Shannin, you continue to shine in all that you do for Jack & Lucy!! Thank you for sharing your life!! Previous Previous post: How did you end 2014? Next Next post: Blood Drive Fund raiser TOMORROW! Blood Drive Fund raiser TOMORROW! How did you end 2014?